must read: WE’VE MOVED !!!! Dear friends and followers — please go to my new site: http://www.megansmusthaves.com ! I have a new home and a new look ! Thank your for making the move with me! And you MUST sign up for my newsletter at the bottom of the homepage. If you’re counting the hours until nap time then you MUST sign up for a monthly membership to BabbaBox — a surprise delivery of activity for your kid! AND DONT’ FORGET TO SIGN UP FOR MY NEWSLETTER. If you’re planning a revenge outfit to wear to the wedding where you’ll see your ex then you MUST rent a pair of killer spikes from Just Soles and stomp all over those bad memories. If you’re tired of tacky straps hanging out from under your tank tops then you MUST get hooked on Tweakerz … a fashion fix that makes any bra become racerback. 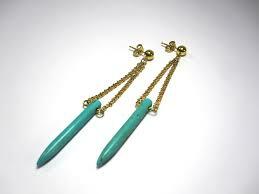 If you don’t have a token piece of turquoise in your jewelry box then you MUST get the Utopia Spike Earrings from Haus of Topper. 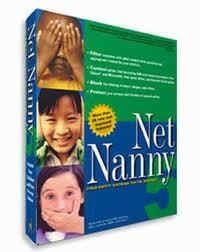 If you have a daughter who uses a computer then you MUST install NetNanny parental control software and protect her from online predators.